He joins a pair of former Jackson State teammates in Canton. 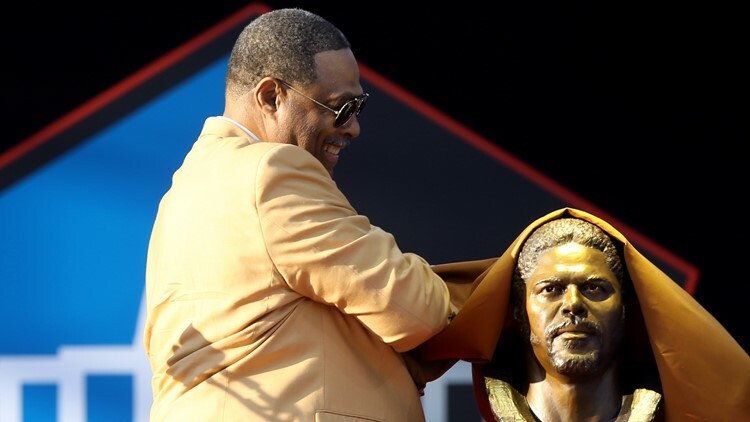 On Saturday Robert Brazile became the fourth Jackson State Tiger to be inducted into the Pro Football Hall of Fame. Walter Payton, Lem Barney, and Jackie Slater all preceded Brazile as Hall of Fame selections. During his speech, Brazile talked about the attention that Payton was receiving while in college at JSU. That attention from scouts turned into NFL opportunities for Payton’s teammates. “One of the best telephone calls I ever got was when I was at Jackson State in Mississippi. At that time Walter Payton was bringing scouts all over to our practice. This turned out to be great for Walter and me because we were making history. Two first-round draft picks from a Historically Black College and University,” Brazile said. Payton was selected fourth overall in the 1975 draft by the Chicago Bears while Brazile was selected sixth by the Houston Oilers. In that same year, teammates Rickey Young and John Tate were drafted in the seventh and eighth rounds respectively. Charles James was drafted in the tenth round. Robert Brazile spent his entire career with the Houston Oilers. One of the biggest thrills for Brazile was having both of his parents there for the ceremony. He was presented by his father, Robert Brazile Sr., as his mother, Ola Mae Brazile, looked on from the audience. The former Jackson State star spent his ten-year professional career (1975-84) as a member of the Houston Oilers. He finished his career with 48 sacks and 1,281 tackles. Sacks weren’t counted as an official statistic in the NFL until 1982.